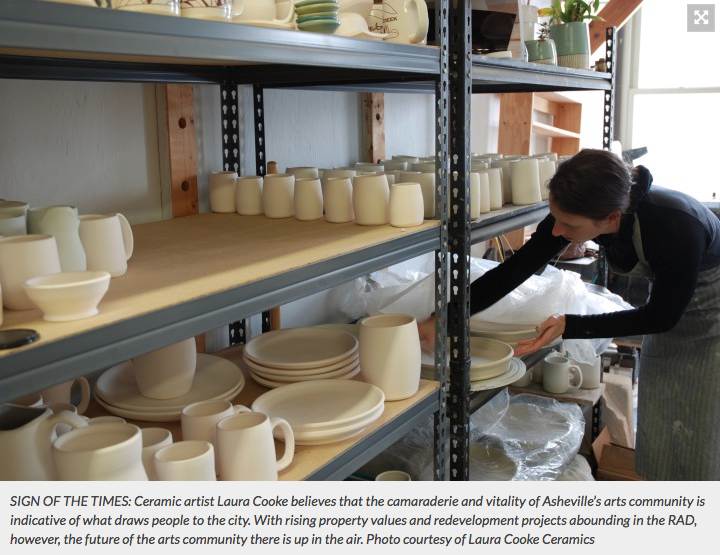 Ceramicist Laura Cooke crafts porcelain pieces in her studio at ClaySpace, a cooperative of ceramic artists in the River Arts District. Dish up Foodies are fans of Laura Cooke’s functional pottery. But she has many others. 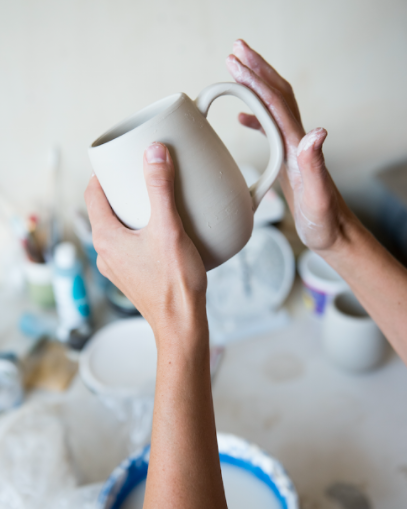 The company: Laura Cooke Ceramics was founded in 2009 in Portland. In 2013, Cooke moved back home to North Carolina, opening a studio in Asheville’s River Arts District. The found: Cooke grew up in Greensboro, N.C. and graduated from Furman University in 2006 with a degree in studio art. She learned to throw pottery in Cortona, Italy. In 2008, she moved to Portland to studio ceramics at Oregon College of Art and Craft. She apprenticed with renowned pottery Victoria Christen before establishing her own pottery business. The goods: Cups with animal illustrations, bowls, and dinner plates adorned with simple black lines, and mugs decorated with intricate, hand-drawn patterns. Other favorites: Trays with handmade tiles, small spice bowls, and an sugar and creamer set. Materials: Wheel-thrown porcelain with custom, hand-mixed glazed fired in an electric kiln to cone 6.